Measurement accuracy is /- 2% of reading. The meter accommodates flow ranges from 35 GPM to 200,000 GPM. 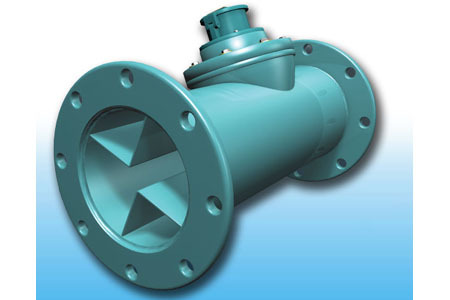 The Water Specialties Propeller Meter can be installed vertically, horizontally or inclined, with sizes ranging from 2" to 120".